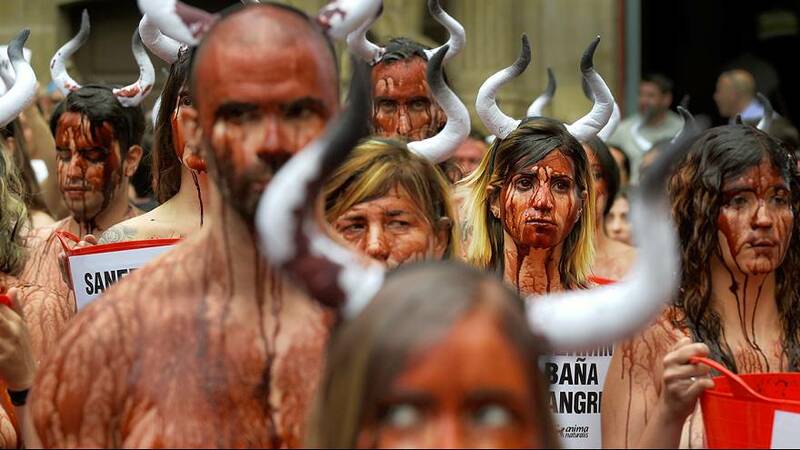 PETA activists protest against the treatment of bulls in the annual San Fermin festival, that will take place tomorrow in Pamplona (Spain). During the event, people run down a narrow street in front of six bulls, but many of the animals are killed after running in the traditional “corrida” (bullfight). The group of activists took off their clothes and threw buckets of fake blood over each other.